As mentioned in a post last month, I’ve developed a pretty solid routine for taking care of my skin in the morning and evening. Now that it’s part of my every day, I’m always looking for great new products to try – I love experimenting and testing things out. 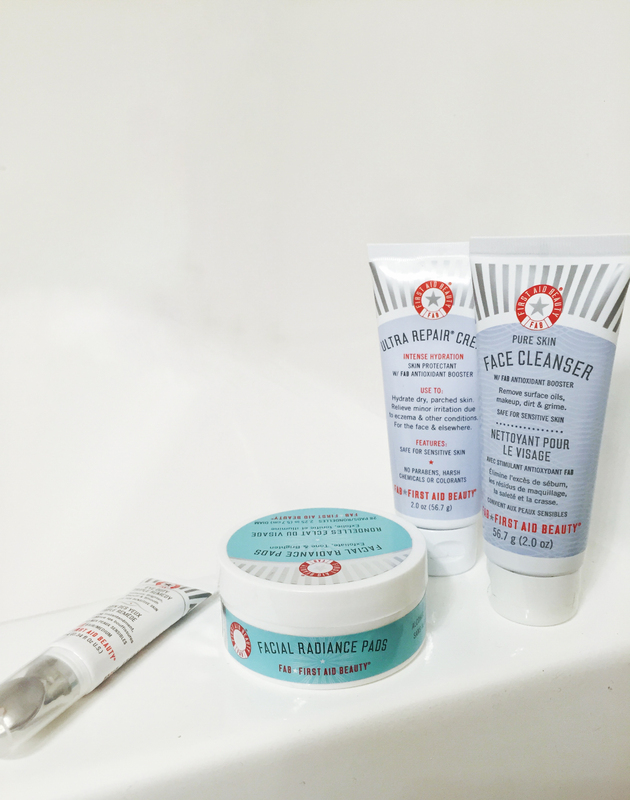 I recently came across a few gems from First Aid Beauty that totally blew me away, and I’m so excited to share them. I was first introduced to the brand via the Ultra Repair Cream – it’s incredible! Rich but not heavy, super moisturizing, and 100% my new travel companion. Heading into uber-dry weather, this cream could not have come to me at a better time. I started hearing more and more about the brand from some of my favorite websites and blogs, and began to notice the extensive collection while traipsing about Sephora on many a casual afternoon. Needless to say, when I discovered they also had a dark circle corrector, I was more than intrigued. These bags under my eyes are no joke. I’ve probably said it before – I could get five minutes or five years of sleep, and my under eye area would still be trying to convince the world that I went on a three day meth bender. Too far? sorry. I know I speak in hyperbolic terms quite often (see above), but the Eye Duty Triple Remedy actually eliminated my dark circles; it completely cooled, brightened, de-puffed and covered…. like a magic eraser for my face. If you’re experiencing a similar ocular plight, stop what you’re doing and go try this stuff. Honestly it’s liquid magic. 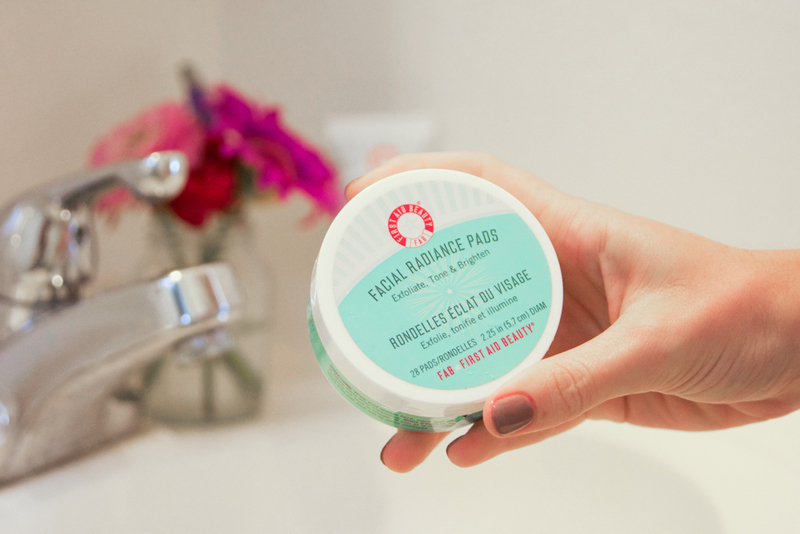 As if this experience could get any better, I was able to try their Face Cleanser and and Facial Radiance Pads – gentle, fragrance free, and so smoothing. I used the cleanser with my Clarisonic, followed up with the toner pads, and finished with my tinted moisturizer and the eye cream concealer. My face was looking fresh af. The best part? All of this stuff is super reasonably priced – particularly the cleanser and cream. You get high-end results with drugstore prices. Amazing, right? The weather is only getting colder and dryer, so make sure to find something gentle, non-abrasive, and moisturizing that works for you. Thank you to First Aid Beauty for providing all this amazing product! We have to try the dark circle cream! We also suffer from severe bags! haha. 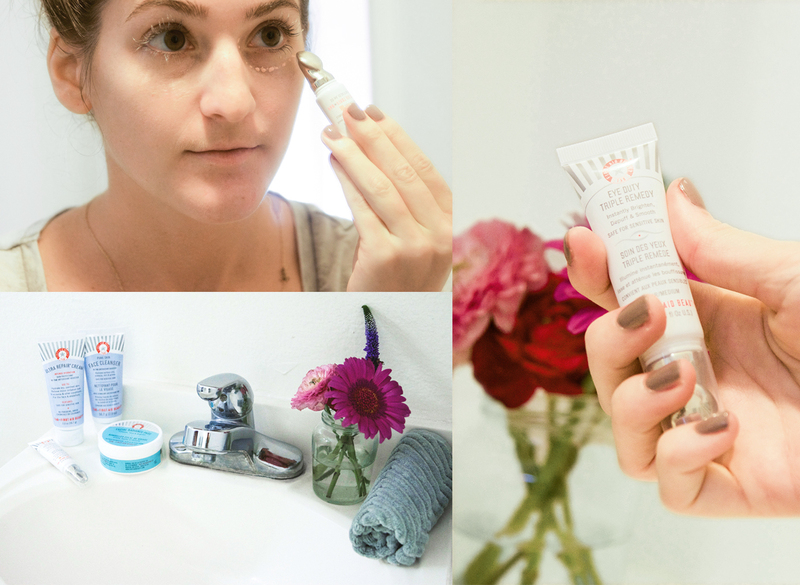 I’ve never tried the first aid beauty line, but now you’ve got me wanting to head to Sephora!